In one sentence, describe the event: A look at the risk artists take in creating edgy work. How would you describe your risk-taking personality or lack thereof? : I don’t actually take a lot of risks. The biggest risks I take on a daily basis probably include the various media pitching strategies I use for my job. Sometimes my correspondence to get others to respond could be considered a bit risky. What was the most memorable and/or meaningful aspect of the event? : I loved the discussion with the artists. It was vital in understanding the event itself and the risk the artists took in creating the work. Understanding the art from that level brings a greater appreciation for the work in an entirely new way. What’s one thing you learned about risk that surprised you? : Risk comes in all forms! I wasn’t quite sure what to expect! Each year’s Spirit & Place Festival’s theme influences the next year’s theme. Through the lens of this year’s theme of “Risk,” what types of events do you anticipate for next year’s theme of “Journey”? : I could expect an art installation there, as well. The part I enjoyed the most was hearing the artists talk about their personal journeys to the installations they presented. How would you describe your risk-taking personality or lack thereof? : I thought the students were very brave from going up on stage and competing for their charities. You could tell some of the competitors felt uncomfortable, but some of those ended up going very far in the competition. It was great to see dedication for a worthy cause. But they never specifically addressed “risk”. What was the most memorable and/or meaningful aspect of the event? : Seeing high school students dedicate their time and volunteer efforts for such great causes. It was nice to see them run around to gain more donations for their nonprofits. What’s one thing you learned about risk that surprised you? : Risk can be conquered with teamwork and dedication. Each year’s Spirit & Place Festival’s theme influences the next year’s theme. Through the lens of this year’s theme of “Risk,” what types of events do you anticipate for next year’s theme of “Journey”? : I could see events such as: how my journey of risky moves paid off… something along those lines. What was the most memorable and/or meaningful aspect of the event? : The audience interaction was so awesome at this event! 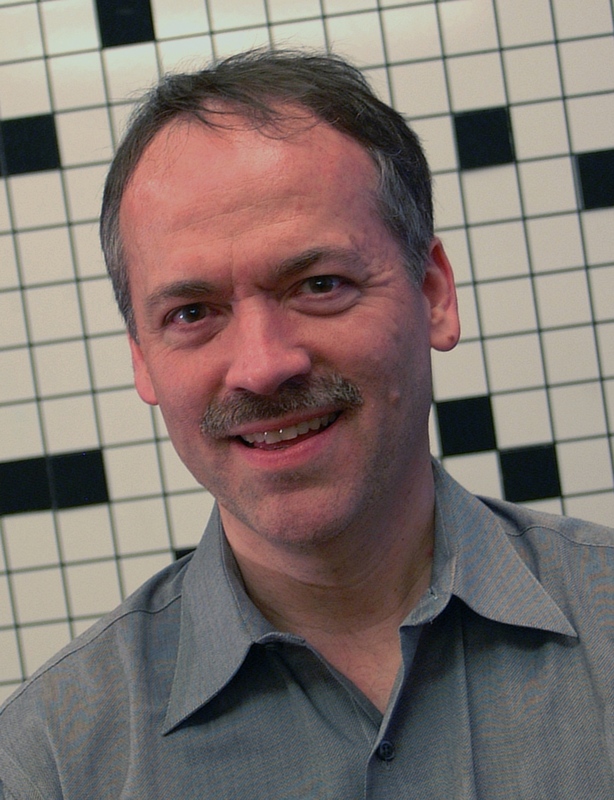 It was a sold-out, standing room only crowd, and The New York Times puzzle-maker Will Shortz involved the entire audience in word games and puzzles, splitting them into teams. Perhaps most memorable was when an 11-year-old girl solved a 25-word puzzle with only one letter! What’s one thing you learned about risk that surprised you? : I was further enlightened to the fact that the notion of “risk” and “risky” things differs for everyone. Each year’s Spirit & Place theme influences the next year’s theme. Through the lens of this year’s theme of “Risk,” what types of events do you anticipate for next year’s theme of “Journey”? : I anticipate events that highlight the actual “journeys” — the ups and downs, obstacles and achievements – of both well known and everyday risk takers. Taking risk is one thing, but observing where it takes you, whether it’s months or years later, is what makes things interesting. 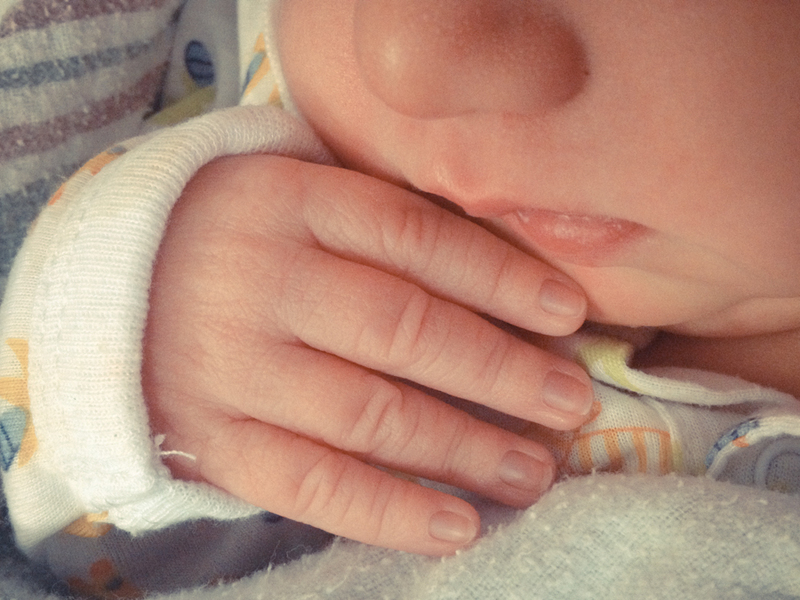 A baby sleeps upon my lap right now…a 12-hour-old, eight-pound little man, swaddled tightly in the hospital’s finest linens. His chest rises and falls in short, erratic repetitions. His arms rise and swat the air. His face tells the story of a magical dream unfolding in his tiny head. He has no idea of the risk it took for me to be here…nor should he. Presently, he’s not my child. Not yet. Not until adoption paperwork gets signed in another five hours. My wife and I are simply caring for him as his birthmom sleeps on another floor of this same hospital. And so all we do is hold, hug, burp, kiss, snuggle, sing, and cry. Three years ago, we spent a night in a hospital with a birthmom and her newborn, only to discover the next morning there would be no adoption on that day. She’d decided, perfectly within her rights, to retain custody—making it an arduous drive home with an empty car seat staring at me from the back seat. It took a long time to get back here again. Lots of tears, anger, yelling, counseling, growing, falling, kicking, screaming, and surrendering. I didn’t always want to return to this place. Some days I wanted to run away from the pain of that moment altogether. And many nights I tossed—wondering if I’d ever be a dad, and, if not, asking myself who I’d even be then? But for me, it eventually came down to faith and hope…my antidotes to fear and risk. I rediscovered a faith in my God who I now fully believe wants a real, honest, unpolished relationship and lifelong conversation with me. And I realized I’m not defined by being a husband, a son, a brother, a friend, a photographer, a writer…or even a father. Rather, my purpose here gets perpetually defined in every moment my life crosses paths with another. And so, four months ago, I found the courage to step back toward the risk of this moment, fully hoping the door to parenthood would swing open this time. We’ll see in five hours. 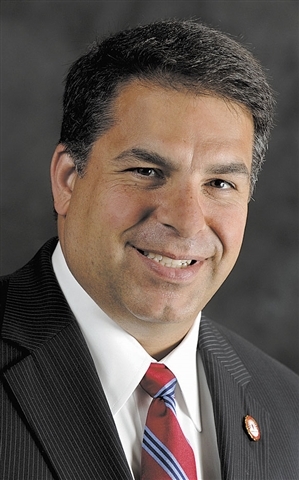 Joe Dudeck owns two Indianapolis-based businesses: Joetography and Keyhole Marketing. Follow him on Twitter at either @Joetography or @KeyholeMktg. My wife and I had left the familiar behind when we left New York for Washington, D.C., but the risk was greater, possibly, when we moved our family in the summer of 2012 to come join the University of Indianapolis community. Of course we were more or less pushed out of the nest—a big storm blew through D.C. the night before we left, and a tree fell on our house. But we were eager to become a part of the University family and chose to live in the University Heights neighborhood on the southeast side. I believe UIndy has a responsibility to make our community a better place, and we can do that better if I am a neighbor, with a neighbor’s feel for what the issues are. There are well-documented challenges on campus and off. Local business leaders have assumed a good deal of risk to reinvigorate the nearby Gateway Corridor. Our students are committed to getting a college education in a rocky economic climate with a shaky job market. Higher education is facing new challenges of relevance, access, technology, and more. And UIndy is aggressively investing its time, talent, and treasure right now to address those issues and many others, internal and external. Virtually everything we do as individuals, and as institutions—every leap of faith, every labor of love—includes some measure of risk. And there’s probably a strong correlation between how much we risk and how great is the payoff. But I think it’s important not to overlook the other part of that equation. Perhaps the greatest danger is in not making those leaps. Maybe we should look at risk as a tool for resisting the status quo or, even worse, decline. It’s calculated risk that makes us focus, that makes us strive: we have to carefully identify the problems at hand, then weigh the consequences thoughtfully before we take action. Risk requires us to work closely together, which in turn lessens the danger that we will act recklessly and veer off course. Indianapolis has a terrific history of taking calculated leaps of faith—forming a unified government, constructing major league sports venues, creating White River State Park, to name just a few—but these developments came with a great deal of forethought, planning, and collaboration that helped ensure their success. Risk is crucial; there is no reward without it. Let’s talk about taking chances—not the drunk-driving and Ponzi scheme kind, but the scary plunges we all must take to earn our keep as members of the human family. I was having coffee along Massachusetts Avenue with a foreign journalist friend a while back, serenely trading cosmopolitan shop talk, when she casually mentioned the men with pointed guns who greeted her one day as she left her house in Karachi, Pakistan. Just a brief acknowledgement of Rafia Zakaria’s criticism of government, it was; and in her mind, just the cost of doing business on behalf of the anonymous thousands whose lives are indeed disposable. In my mind, touché. Clearly, the physical risk that so ennobles crusading writers in some parts of the world disqualifies me from calling myself their peer. As a liberal keyboard-tapper in a Middle American city where liberal is radical, I may have been fighting the same good fight; but not to the death. With any serious risk comparison, I identify with the gentleman husband in James Joyce’s story “The Dead,” haunted as he is by the passion of his wife’s former suitor, who perished from pining for her in the winter rain. Now, let’s dial back a bit. It’s not as though risk has to be mortal or even crippling to be real, compelling, paralyzing, transformative. Another friend, back when he was a parish priest, lost his Honda to the IRS after he withheld taxes as a war protest. He chuckles about it today, but it shook his blue-collar eastside congregation and his superiors. Most important, it paid his dues of conscience in cash. He had something to lose. He had a prize worth winning. There’s the standard. I, too, have ventured comfort and safety for moral gain – sometimes by inaction. Unlike him, I’ve stayed in the church, at the risk of blowback over my dissidence. I have cost my household a small fortune by not trading advocacy for public relations. I’ve picketed my employer, not so much over the lost cause of money as over a lost sense of mission. I have a list, for all my timidity, and surely so do you. I’ve learned the trick of holding my head high as I bow to the warriors of my tribe. And if the autumn of my life finds me envying those who cried out coatless against the winter, well, that’s the chance I took. Dan Carpenter is an Indianapolis native and resident, a freelance writer, and a former columnist with The Indianapolis Star. He has authored three books, the latest being “Indiana Out Loud: Dan Carpenter on the Heartland Beat” (2013, Indiana Historical Society Press). In March, 1965, Dr. Martin Luther King, Jr. started a voting rights demonstration in Selma, Alabama to change U.S. laws so that African American citizens could register and vote. Dr. King asked pastors, priests, rabbis, nuns, and lay people from all over the nation to come to Selma to march for voting rights. Rev. James Reeb, a Unitarian minister in Boston, responded to Dr. King’s invitation. Rev. Reeb went into a Selma café, and, when he came out, he was hit over the head with a club by segregationists and died from brain injuries. Dr. King called Boston University School of Theology and asked seminary students to come to Selma and join him in this struggle for voting rights. I was one such seminary student and joined my fellow students on a trip to Selma to participate in the marches. I was well aware of the risk, since we would be doing what another minister from Boston had been killed for doing the previous week. I went to Selma, was trained in non-violent resistance, and marched from a Baptist Church to the Selma courthouse amid the hatred and shouts of segregationists. At the courthouse, a Black pastor prayed for all the people who were shouting ugly words at us that God would change their hearts of hate to hearts of love. Forty years later in 2005, I spoke to a United Methodist ministers’ retreat in Alabama. I shared my Selma experience with them, and afterwards a pastor came up and told me that he was also in Selma in March, 1965, but he was one of those shouting hateful words at the marchers. I asked him, “What changed you?” He explained that he went to a church service where he knelt in prayer, confessed his sin of hatred, and God came into his life and changed his heart. Then he decided to become a United Methodist minister to try to build bridges of love rather than walls of hatred. I thought about how the prayer of the Black pastor 40 years earlier had been answered: a heart of hate had been changed to a heart of love. My experience in Selma taught me to take risks for my faith, and that God can change hearts through the power of prayer. Dr. Kent Millard served as Senior Pastor at St. Luke’s United Methodist Church in Indianapolis for 18 years and retired in 2011. Dr. Millard is President of the Indianapolis Interfaith Hunger Initiative, member of Downtown Rotary, serves on the Gleaners board and is a co-author of Lead Like Butler.